Can you feel the romance in the air? I only ask because Valentine’s Day is coming, and that means it is time to start thinking about treats to give the ones you love. We don’t really celebrate Valentine’s Day at the Shenanigans Homestead. I do not require bouquets of roses, boxes of chocolates, or fancy dinners out. Instead we keep it low-key. Typically we make dinner together – he grills and I do the rest – and we may split a bottle of some sort of sparkling wine. I also go out of my way to make a special dessert that combines what he likes with my love of chocolate. It works for us! This year the folks at Lucky Leaf have decided to help you, my lovely readers, share the love by giving you a fun gift pack. It includes a can of Premium Lucky Leaf Pie Filling, fun cupcake/muffin baking cups, a few recipes, and a cute little bakery bag for delivering your yummy treats. There are three ways to enter. 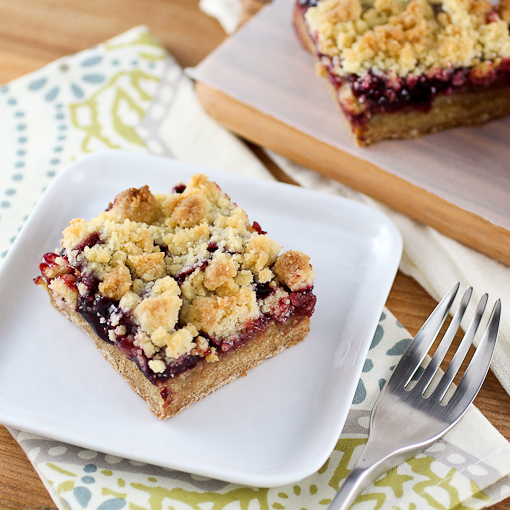 First, leave a comment below telling me about your favorite Valentine’s Day dessert! Third, share this giveaway with your Facebook friends and link back to your Facebook post in the comments below. Easy, yes? Well get to entering. I will select a winner at random from the comments below on Valentine’s Day, February 14, 2013 at 12pm CST, so good luck! 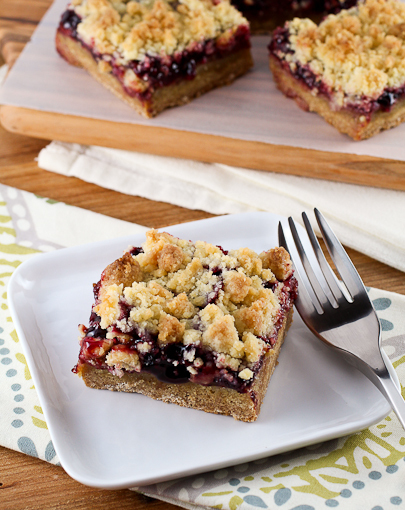 I have written about the versatility of Lucky Leaf pie fillings before, and I must admit that it is an easy way to add some fruity pizazz to your baking. Trust me, Lucky Leaf is for more than just pies!! 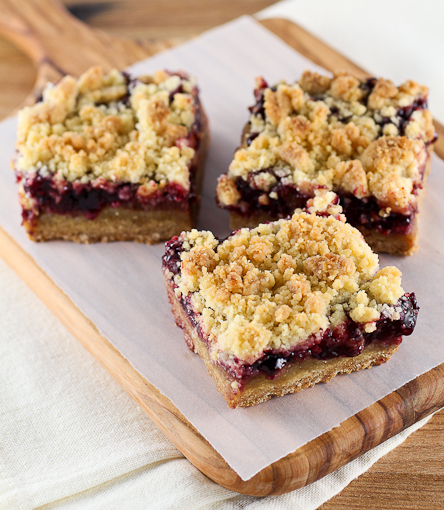 To demonstrate that, I whipped up some scrumptious bars that combine a crisp cookie base, a layer of silky chocolate cream cheese, sweet black cherries, and a buttery crumble topping. These are so easy to make, and the combination of chocolate and cherry would make these a wonderful Valentine’s Day dessert! 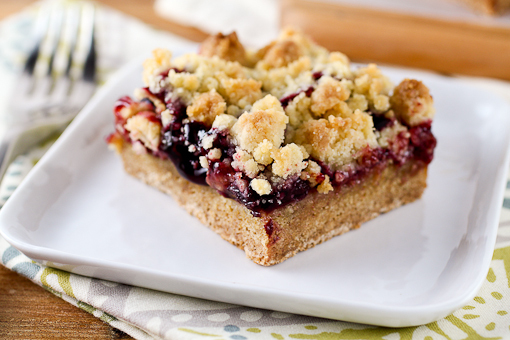 If cherry is not your thing you could easily use Lucky Leaf Premium Strawberry or Raspberry filling instead. Heat the oven to 350 F and spray an 8x8-inch baking dish with non-stick cooking spray (Clearly my dish was not 8x8-inch, but it is the same volume). First prepare the base. 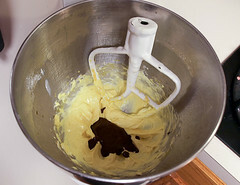 In the work bowl of a stand mixer fitted with the paddle attachment combine the flour, baking soda, baking powder, salt, sugar, butter, egg, and vanilla. Mix on medium speed until the mixture forms a thick dough, about 1 minute. 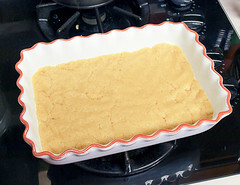 Press the dough into the prepared pan and set aside. Now, prepare the filling. 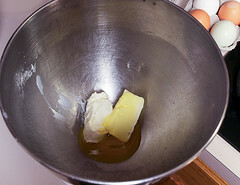 In the same work bowl combine the cream cheese, butter, egg yolk, and vanilla. 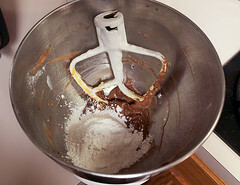 Beat on medium speed until well combined, about 1 minute then add the melted chocolate and beat for 30 seconds, or until well mixed. Add the powdered sugar and beat on low speed until well combined, about 2 minutes. 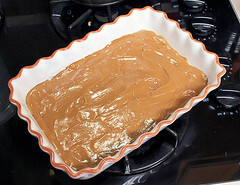 Spread the chocolate filling evenly over the base. Carefully drop the cherry pie filling over the chocolate cream cheese layer by rounded tablespoons, taking care not to mix or swirl the two layers. Finally prepare the topping. 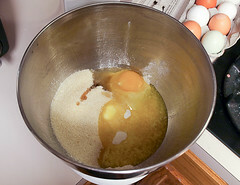 In a small bowl combine the flour, sugar, and salt and mix with your fingers to combine. 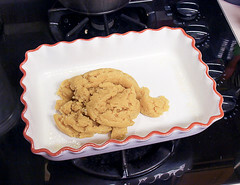 Add the butter and, using your fingers, rub the butter into the flour mixture until the butter is completely combined and the mixture is crumbly. 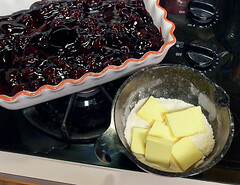 Spread the mixture evenly over the cherry filling. 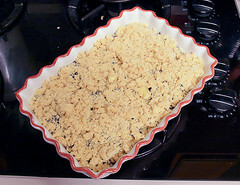 Bake for 50 to 55 minutes, or until the filling is bubbling around the edges and the center of the bars has puffed slightly. 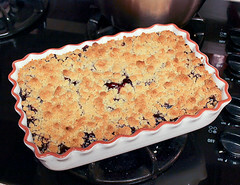 Cool completely to room temperature before cutting and serving. *Evil Shenanigans Product Review Policy and Disclosure– Lucky Leaf provided me with a sample of their pie filling, as well as a sample gift pack, at no cost in exchange for this blog post. Any opinion expressed is my own and is not influenced in any way by the manufacturer/PR firm. I only review products that I have personally tested and endorse.